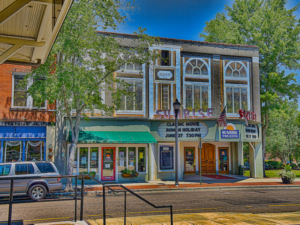 Southern Pines is a town just 20 miles west of the United States Army’s Fort Bragg. Located in Moore County, Southern Pines has grown into one North Carolina’s best communities to live. It’s proximity to both Raleigh and Fort Bragg has accounted for much of its residential development. Stepping Stones is proud to serve the families of Southern Pines, including the many military families living here. As a partner with the military and Tricare Insurance, we will gladly travel to your home in the Southern Pines area to help provide ABA therapy services to your child. If you live in Southern Pines and believe your child is in need of a trained ABA therapist, please contact us by phone, 919-810-1459, by email rebecca@steppingstonesaba.com, or by filling out our contact us form to the right.